This community is deeply rooted in the Land of Israel with many being descendants of Christians from the days of Jesus and his followers who formed the first churches. They are also descended from the inhabitants of the land who received Christianity during the Roman Empire. This Byzantine Empire took on Christianity as the official religion in 324 CE. At that time, Christians became the majority in Israel, only losing this status after the conquests of Islam and the Arab tribes. As 2019 begins, the number of Christians in Israel stands at about 175,000, constituting about 2 percent of the population. 80 percent of the Christians in Israel are Arabic-speaking. The Arab-speaking Christians in Israel generally belong to the Catholic Church (Greek Catholics) and the Greek Orthodox Church. Others are Maronites, Copts, Protestants, Baptists, Evangelicals and others. Alongside them are the Armenians living in Israel, many of whom also speak the Arabic language. However, today the families are mixed and there is marriage between Christians of all denominations. In Israel, Christians are considered well-educated, since many of them study in the private schools run by the churches in which the education is of a very high standard. In fact, this is the group with the best data in terms of education in Israel based on matriculation certificates for university entrance requirements: 64 percent of the Christians qualified for university last year as compared to 50 percent of the Druze, 39 percent of the Muslims, and 53 percent of the students in the Hebrew education sector. As a result, the average economic condition of most of the Christian Arabs is also very good. The Christian community in Israel has no single religious leadership because of the division into different denominations and churches. Most of them live intermingled with Muslim Arabs in their Muslim majority communities while a significantly smaller percentage live in Jewish or mixed communities. Most live in the Galilee, Nazareth and Haifa in the north of Israel. Another large concentration is in Jerusalem while others live in Tel Aviv-Jaffa, Ramle and Lod in the center of Israel. There are only two villages of Mi’ilya and Fassuta, which are populated with a Christian majority and are considered Christian villages. In the past, the cities with religious significance like Nazareth and Bethlehem, were Christian cities with a Christian majority, but both cities became Muslim-majority several decades ago. This has led even more Christians to leave and move to nearby non-Muslim majority cities like Nazareth Illit or other local Jewish communities. The Arab-speaking Christians are considered part of the Arab minority in Israel with most of them self-identifying more strongly with their Arab identity than their Israeli. As such, embedded within the Muslim Arabs in Israel, the Christians are in fact are a minority within a minority and have no real influence. As a result, they do not have a unified political leadership and have no significant political influence in the State of Israel in general and in the Arab sector in particular. Over the years, Christians served as members of Knesset in the Israeli parliament. Some of them on behalf of the Israeli Labor Party, which is a Zionist party at its core. Others served as members of parliament on behalf of the Communist Party. Many have also served in the Balad Party, which has a pan-Arabist platform, a party that is considered a radically nationalist and separatist, that strongly opposes the existence of the State of Israel and even supports terrorism. The Christian members of the Knesset generally do not see themselves as representatives of the Christians but as representatives of the entire Arab sector. Bassel Ghattas, a former Christian Knesset member who served on behalf of the Balad party, is currently serving a prison term for smuggling mobile phones to terrorists imprisoned in Israeli prisons. Azmi Bishara, another Christian member of the Balad party, fled from Israel to Qatar after he was captured while acting as a spy for the Hezbollah terrorist organization in 2006 during the Second Lebanon War. This extreme trend, though prominent and vocal, does not represent the entire Christian community. In fact, a little more than six years ago, a completely opposite trend arose. A number of Christian activists decided in August 2012 to establish a forum that would encourage the Christian community to connect with the State of Israel and Israeli society in an entirely different manner. The first and most important move that they wanted to encourage was volunteering to serve in the Israel Defense Forces (IDF) and in the National Civil Service. It is important to note that there is a compulsory recruitment law that applies to Jews, Druze and Circassians (a small non-Arab Muslim community). Christians, Bedouins, and Arab Muslims are exempt from service but may volunteer in the IDF and the security forces or the National Civil Service (volunteers in hospitals, nursing homes, schools, firefighting, emergency medicine, etc.). 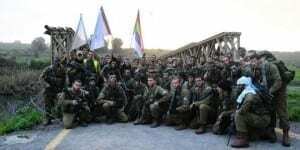 In October 2012, the Christian activists held the first public conference in Nazareth Iliit calling on young Christians to volunteer in the IDF. The conference was attended by 300 Christians, most of them youth and other social activists. Three priests attended the conference and expressed their support for this move. The day after the conference, radical political elements in the Arab sector, the Christian community, and radical Islamic elements began to threaten the priests. In the days following the conference, posters and ads denounced them, their vehicles were damaged, and a rag drenched in blood was hung on the door of one priest. Two of the priests were intimidated by the threats and distanced themselves from the initiative. A third priest, Father Gabriel Naddaf of the Greek Orthodox Church in Nazareth, did not waver and decided to continue. He established an organization that worked not only to encourage young Christians to volunteer for military or national service, but to lead the Christian community to full integration into society and the State of Israel in all fields. His vision was to change the Christian community in israel from a minority without influence to an influential community. Implicit in this was a desire to re-establish its historical Aramean identity. It is important to note that even before this initiative, Christians had risen to key positions in the Israeli public, such as judges in the courts, department and hospital directors, police and army officers, senior government officials, academics and diplomats, etc. But all of them did so in a personal and private manner as individuals. This was not a trend of community responsibility or representatives of the Christian community. The move towards communal service in the IDF was significant. In Israeli society, such service is a symbol, it indicates belonging, and it is the most prominent feature that connects all parts of Israeli society. Military service or national service is an entry ticket to Israeli society and symbolizes a step towards genuine partnership. But that was not the only reason Father Naddaf emphasized service in the IDF. The Christians in Israel were motivated by the deteriorating condition of the Christian communities throughout the region. In the State of Israel, Christians are living under a democratic regime, in a free society, with freedom of religion, worship, expression and security and the community is in constant growth. Conversely, Christians in other countries in the Middle East are horribly persecuted. This is clearly the case in Egypt, Gaza, the Palestinian Authority, and Iran. In Lebanon, Christians have lost their birthright to a country that was once called the Paris of the Mediterranean. In Iraq and Syria, there is currently a genocide being waged against the Christians (and the Yezidis). Father Naddaf and his fellow activists called on Christians in Israel to stand up and contribute to the defense of the state, to the protection of the Holy Land, which is also their home. If Israel provides us with protection and security, we must be part of it, they claimed. And the Christians in Israel responded to the call. Before 2012, the average number of Christians who volunteered for IDF service was approximately 35 per year of from 1,800 high-school graduates. Today, there are approximately 100 volunteers for the IDF annually and another 600 recruits who do National civil service. This means that approximately 40 percent of the high school graduates declare in a practical manner that they are Israeli Christians, an integral part of Israeli society and the State of Israel. Father Gabriel Naddaf paid a heavy personal cost for his activities. In June 2017, he announced his retirement from public activity. He closed the organization he established and returned to the church to serve as head of the Greek Orthodox community in Yafia, near Nazareth. In the years he led the historic movement, he opened the door, broke the walls of fear and showed the way. Christians today are continuing to following in his path. Today, a number of small organizations continue to lead the way. The most prominent of these is the “Jerusalemite Initiative”, which focuses on Arab-speaking Christians in Jerusalem and is led by Elias Zarina, a social activist who grew up in Jerusalem’s Christian Quarter and was educated in Bethlehem. It must be understood that this is a real revolution. It is a social and national process of historic proportions that also provokes many reactions. These are manifested in campaigns and conferences against recruitment (some funded by the European Union), boycotts and threats against Christian families, and activity within the churches to exert pressure on clerics and church activists who support the historical move. Physical violence has been directed against activists, families of Christian soldiers, and against the son of Fr. Gabriel and other volunteers who encourage the historic move. Despite these efforts to prevent the Christians from integrating into Israeli society, there are many who remain even more determined. In the past, Christian soldiers were afraid to return to their homes wearing IDF uniforms lest they bring harm their families. Today, most of them wear their uniforms proudly. There are many in the Christian communities who are waiting to see how this entire historic process will develop. The hope of these people is that the Christians in Israel will be recognized as an independent community and not as part of the Muslim Arab sector. An example of this happening is in the Druze community, which is considered an independent community with separate divisions and budgets within the government system. Opponents of this move, among the Christians and the Arab sector, fear precisely this; that the Christians will receive independent and separate status. They counter this with claims that the Israeli government is interested in dividing and ruling within the Arab sector in order to weaken it. The Christians who advocate for integration counter this by emphasizing their desire to find the unique place of the Christian community within Israeli society. They emphasize their pride in both their Christian and Israeli identity. These Christians emphasize that for so long, they were told that we are Arabs, part of the Arab nation. They now reject this, acknowledging that their roots are in the Holy Land and Levant, planted many years before the appearance of Islam and the Arab tribes. 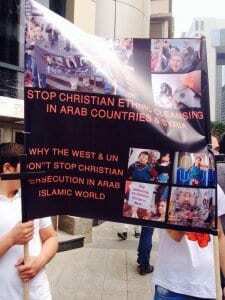 They also point to Arab and Islamic persecution of Christians in the region as proof that they are not part of either. “Is this what brothers do?” they ask themselves. This historic move by the Christians in the State of Israel is undoubtedly the result of the Arab Spring. In the Arab countries, the Arab Spring turned into a stormy winter for Christians in Syria, Iraq and Libya. In Israel, it led to a true spring among the Christians. Amit Barak was one of the initiators of the historical movement to integrate Christians into the IDF and the Israeli Society. 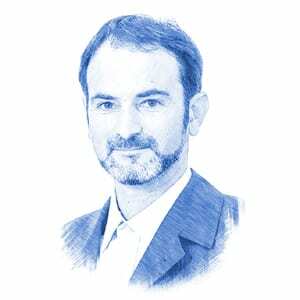 Amit is an expert about Christian-Jewish relations in Israel and abroad.